While protein powder is nothing new, there is still a lot of controversy and confusion surrounding the use of protein powder. If you are an athlete or training to look and feel like one, here is some helpful information to help you make an informed decision on protein supplementation. The purpose of this blog is not to push protein powder or other supplements. Rather it is to provide training and nutrition information for athletes and those training to look and feel like one. You will note that I have not included any affiliate links. I want to give non-biased information - that is it. Do I need to take protein powder? Fast & conveinent: many people (especially athletes) are busy. It takes less than two minutes to pour some water into a cup, add a scoop of protein powder, stir it up and slam it back. Cost effective: if you look at the price of protein (not per pound but per gram of protein) compared to meat, it is usually a little cheaper. I crunched the numbers and found that the protein powder I use came out to about $0.75/scoop. To get that protein equivalent (25g) in meat, it usually comes to about $0.90 to $1+ per pound. Do the math yourself and compare the cost to the meat you usually eat. You may find that you actually save a little money and that can be helpful for those on a tight budget. Also buying in bulk can save you even more money. This is easy to do with friends/teammates. A friend of mine chipped in with me once and we bought 40kg of whey protein at a great price! Helpful pre/during/post training: after a hard training session, you likely will not feel like gnawing on a chicken breast. Also, whey protein powder is fast and easy to digest and helps to stimulate protein synthesis. This is very helpful after training. Healthy: whey protein powder can help boost the immune system and is a good antioxidant. Is protein powder superior to real food? No, real food is better as it contains other important nutrients besides protein. While supplementation can be helpful and offer certain benefits (see above), you should always emphasize real food over supplements. Will protein powder make me big? This is a common hope of some people (especially guys) and a common fear among many ladies and athletes in sports where maintaining low body weight is important. If you are taking a weight gainer (which is protein powder with fats and carbs added to jack up the total calories), you will gain weight if it helps put you into a calorie surplus (i.e. taking in more calories than you burn). However, protein powder will not turn you into a pro-bodybuilder. If you are not wanting to gain weight/muscle, than you can still use protein powder. Just don't follow a bodybuilding diet or consume a calorie surplus. If you are trying to gain muscle, protein powder can help make sure you are getting sufficient protein for muscle gain. Also, alternating power shakes with whole food meals is helpful for those finding it difficult to consume enough calories. However, you will not gain muscle without proper training and sufficient calories from whole foods. Do not look to protein powder as the easy way to gain lean muscle. Will protein powder make me fat? Too much of anything will make you fat. Whey protein does raise insulin a bit, so like anything else, do not get carried away.However, I have never heard of someone getting fat off of protein powder and would not blame protein powder for the obesity epidemic. Is protein powder helpful for fat loss? Yes an no. On one hand, protein powder provides you with a lot of protein with minimal calories per serving. 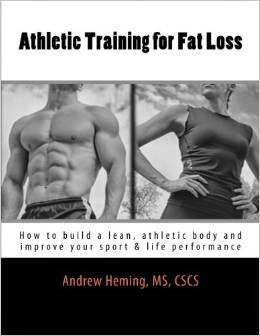 This is obviously helpful for fat loss. On the other hand, the digestion of whole food protein sources likely has a greater thermic effect (i.e. it causes more calories burned) than protein powders and will help fill you up so you are less likely to eat things that promote fat gain. Is protein powder safe for athletes who are drug tested? With any supplement, there is always a risk. However, protein powder offers lower risks for testing positive for banned substances than other products - especially if you just get a plain protein powder from a somewhere like Costco instead of the new MegaMass4000ZX (I'm making this name up) from the trendy supplement stores. I generally recommend that athletes who are being tested use supplements that are NSF certified. What if I don't like the chalky taste? This used to be a problem with many old-school protein powders which were mostly soy-based or casein. 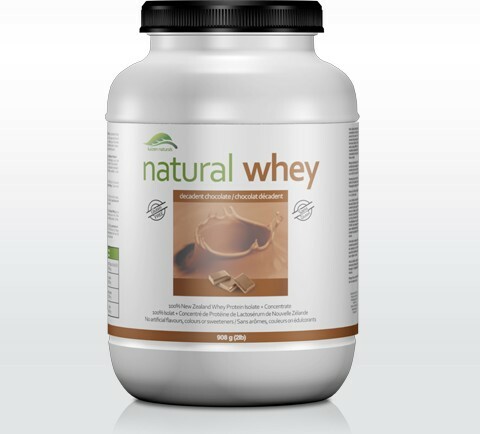 Whey protein mixes well and has a smooth texture and a naturally mild taste (I often use plain whey protein with no added colors or flavors and it tastes fine - even when just mixed in water). However, if you are expecting chocolate protein powder mixed in water to taste like chocolate milk, you will be very disappointed. What should I mix it in? If you are goal is fat loss, I would just mix it with water. If you need extra calories, you can mix it with milk, almond milk, rice milk or coconut milk (all depending on your nutritional needs, food tolerances and taste preferences). Also, I encourage people to blend whole food with their protein powder to create a whole food power shake. Is protein powder bad for my kidneys? There is no evidence to show that protein or protein powders are harmful to healthy kidneys. There is some concern for those with kidney issues, so if that is you, please check with your doctor first and follow his/her advice. For most people 1-2 servings of 1-2 scoops per day should be plenty. Again, emphasize real food over supplements. I would encourage people who use protein powder to use it after training. Also, small amounts can be helpful immediately before and during for some people (those training for long periods of time, those with muscle gain goals). Use at other times when you need the convenience. Whey is a great protein for many people. It is fast digesting (which makes it great after training), stimulates protein synthesis, has some good health benefits (see above), mixes well and tastes great! Casein (which is another protein found in milk) is another option. 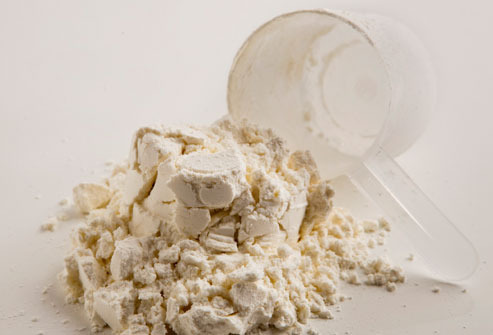 Casein is very different from whey in that it tends to clump and is digested much slower than whey. While whey seems to be more anabolic (promotes tissue building), casein seems to be more anti-catabolic (prevent tissue breakdown). They compliment each other well and for this reason some people choose to use a protein powder that is a combination of whey and casein (especially when using outside of the peri workout time). One word of caution when it comes to casein: there is some research correlating it to cancer risk and it can have more food intolerance issues for some people than whey. Personally, I also try to get more natural protein powders. I look for ones that are naturally flavored and sweetened with stevia. I currently use a natural whey protein that is free of hormones, pesticides or GMO's. While I'm not here to push any brands on you, here is another article that can help with knowing more about different brands. Some people who cannot handle dairy, may still be okay with a whey protein powder (I am one of them). However, if you have intolerance issues with dairy and do not want to risk it, or you have tried milk-based protein powders there are other options. One option is to use an egg or meat-based protein powder. Personally I choose not to use these as I'm okay with whey and I eat a lot of milk and eggs. There is a risk of developing a food intolerance if you over-consume certain foods (especially eggs) so I like to play it safe. The other option is to choose a plant-based protein powder (see below). What if I am a vegan or simply want a plant-based protein powder? I would discourage the use of a soy protein (for more information on soy, click HERE). Good plant-based options include: hemp, rice, pea and various sprouts. I would choose a combination of some of these to get a better amino acid profile as different plant-based proteins with have higher and lower levels of different essential amino acids. If you are unsure about taking a protein powder, you now have the ability to make a more informed decision. If you are taking a protein powder or planning to get one, establish a habit of bringing some to the gym with you each time you train to have immediately after training. Also, if you find it difficult to get enough quality nutrients in each day, consider adding a whole food power shake with protein powder to your daily menu. Great information Andrew. On the lactose intolerance issue, a whey protein isolate has almost no lactose where a whey concentrate will have more lactose. A little note so people don't think all whey is the same. Chris, thanks for adding that important information about isolate vs. concentrate. I should have clarified that in the post. Another consideration is digestion speed. Personally, I use a concentrate/isolate mix instead of a pure isolate even though I am lactose intolerant. For me the pure isolate digests too quickly and gives me issues.